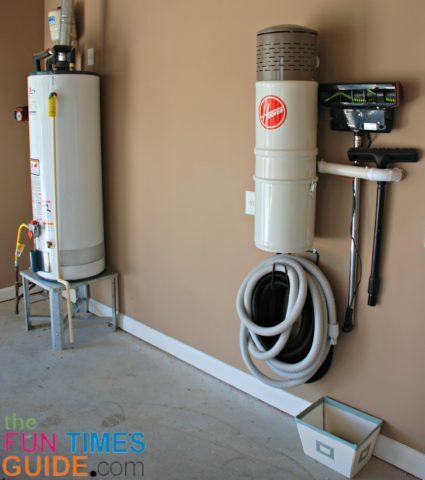 There are many homebuilding features that come to mind when you mention the words “custom home building features” — but I bet that most wouldn’t think of a central vacuum system. Personally, I don’t think a central vac would have made it on my top 10 list of “dream features” for my future dream home either. 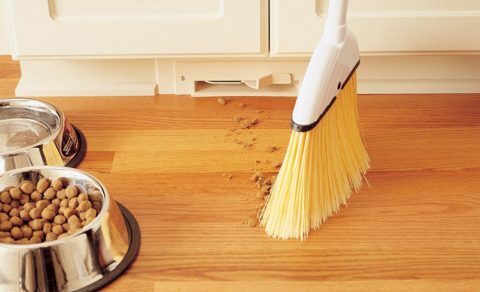 However, after visiting a number of model homes that had central vacuum systems installed AND taking the time to learn more about built-in central vacuum home cleaning systems, I might need to re-visit my list! Convenience – No more lugging a canister vac or upright vacuum up & down the stairs or pulling it all around the house while you manage the cord and plug it into various outlets. Cleans deep – A central vacuum provides up to 5 times more cleaning power than a conventional vacuum cleaner! 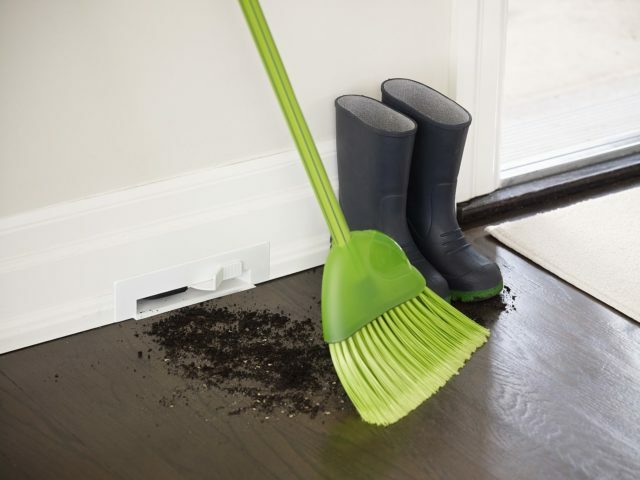 Great for hard floor surfaces – Since the central power unit is tucked away in the garage, basement, or utility room, the dirt and dust from the room you’re cleaning is not being blown around before it gets sucked up. Increases the resale value of your home – A central vacuum system increases the resale value of your home by approximately $2000. Makes vacuuming a quieter experience – Since the power unit is tucked away in your basement, garage, or utility room, the noise from a central vacuum system is significantly reduced. Saves you money – The deep cleaning of the powerful motor prolongs the life of your carpet, drapes, and furniture. Eliminates the need to change bags or filters – Most central vacuum systems have permanent filters and are bagless — although you will need to empty the canister 2 to 4 times per year. Makes the neighbors jealous – Okay, so I just needed 1 more thing to round out this list of 10 items! Improves the indoor air quality of your home – Using a central vacuum system has been proven more effective at removing dust, dust mites, dirt, and allergens — partly due to fact that the central unit is not within the living area. A study of allergic rhinitis patients (hay fever sufferers) by the University of California-Davis School of Medicine, found their symptoms improved by 40% to 60% when they cleaned with a Beam Central Vacuum System instead of a conventional vacuum. What’s The Cost For DIY vs A Professional Install? You can expect to spend somewhere between $800 to $1500 to buy the central vacuum system itself. Then, you have the cost of installation. If you’re a do-it-yourselfer, then you could save some money on the installation cost of a central vacuum system. Otherwise, expect to spend an additional few hundred dollars for professional installation. About 70% of central vacuum systems are installed in new homes during the construction phase. The remainder are installed during a kitchen or bathroom renovation, or they’re retro-fitted into a home that has full basement access. 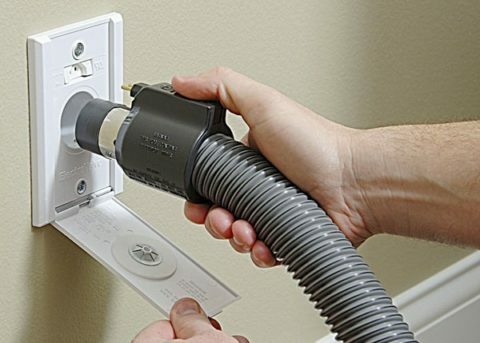 TIP: You’ll need to have an central vacuum inlet installed for approximately every 750 square feet of living space.